Technical Talent Sourcing - Diversified Services Network, Inc. Technical Talent Sourcing - Diversified Services Network, Inc.
Only the Right Resources Will Do. At DSN, we set ourselves apart in our unerring ability to source the right talent for every project. With DSN as your talent sourcing and talent management partner, you benefit from the precise expertise you need, where and when you need it. From project managers to developers to subject matter experts and everything in between, we bring you the critical resources that your project demands. Our experience with technical and engineering talent began in 1989 and we understand that successful talent sourcing is the single most important aspect of the talent management lifecycle. Uncovering and identifying the right talent is critical; the talent must not only be appropriate for your project priorities, but must also be an excellent fit with your corporate culture and overall business goals. By taking the time to understand your needs – no matter how complex – we ensure that we source talent that is closely aligned with your company’s strategic plan and immediate business needs. When you work with DSN, you can rest assured the talent we provide will possess a documented history and in-depth subject matter expertise, from both a technical and business perspective. Not only will our resources understand your challenges, they’ll also be able to hit the ground running, work independently, and leverage industry best practices to resolve your most complex issues. Most importantly, the talent DSN provides will enhance your organizational performance and positively impact your business. 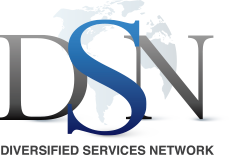 Learn more about DSN and how our solutions can improve your organization. DSN’s employees are working out great! Beyond providing Subject Matter Experts and Talent resources who match our technical requirements, you've taken the time to understand our corporate culture and then match candidates who fit it as well.